This is a "hand-made" reproduction of the round color version of the squadron patch for USMC ATTACK SQUADRON (All Weather) 121. It has a dark green border and Knight. This is a "hand-made" reproduction of the color version of the squadron's rectangular patch for USMC ATTACK SQUADRON (All Weather) 121. It has a yellow border and dark green Knight. This is the "ballcap patch" that is seen on the front of the ballcaps. It is JUST the patch, and does not have velcro attached so that you can "melt" it onto whatever article of clothing you want. 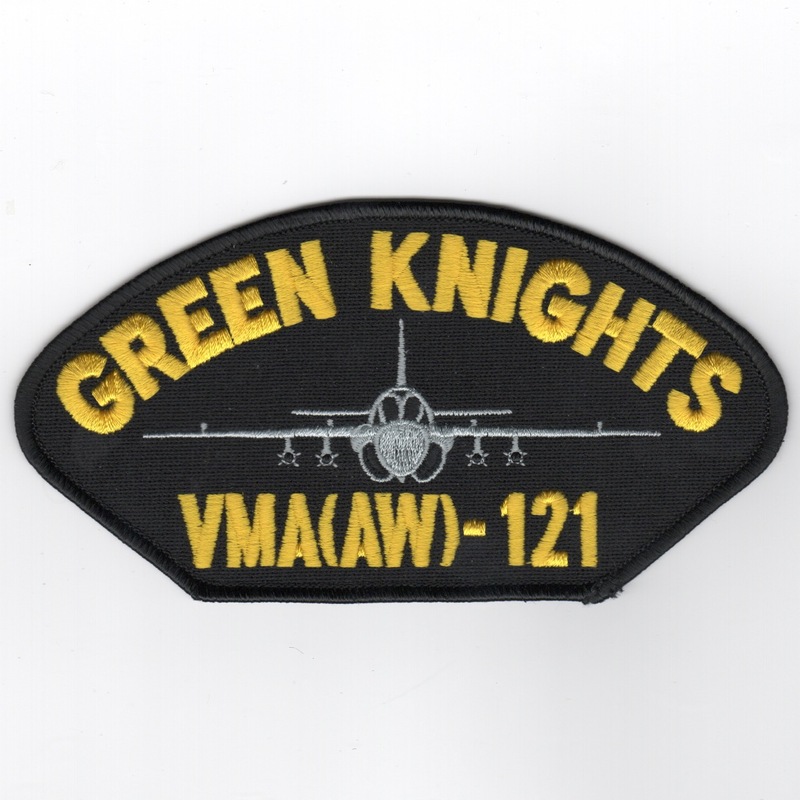 Homepage | Order VMA-121 Patches!